SkillWorks’s Public Policy Advocacy works to achieve long-term, sustainable improvements in the Commonwealth of Massachusetts’ workforce development system. . As with all of our program components, our twin goals are to increase the Commonwealth’s capacity and resources to meet the needs of both low-income residents to access family-sustaining jobs and employers to have a skilled, productive workforce. Our Public Policy Advocacy work has led to major advances in workforce development programs across the state. Because of our efforts, the Commonwealth of Massachusetts implemented the Workforce Competitiveness Trust Fund in 2006, designed to support workforce partnerships across the state in enabling a broad range of residents to gain access to employment, education and the skills necessary to move along a career path leading to economic self-sufficiency. Led by the Workforce Solutions Group, SkillWorks public policy advocacy grantee, we have helped garner more than $50M in new workforce funding for the state of Massachusetts. 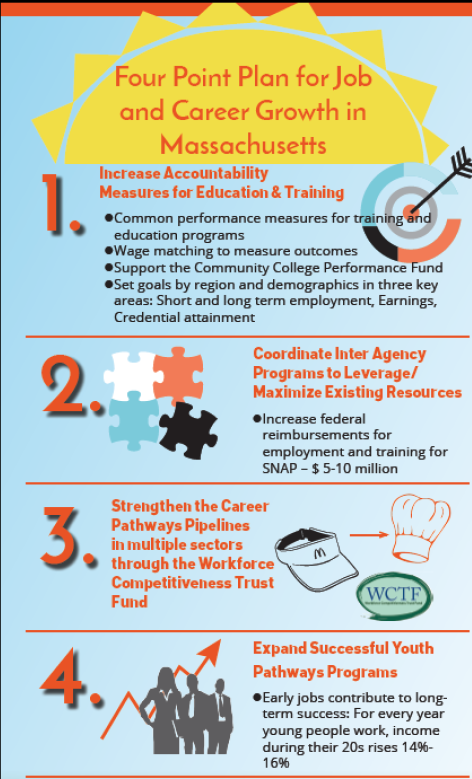 SkillWorks’ advocacy also resulted in the formation of a Workforce Accountability Task Force to address performance, governance and coordination within the workforce system. Read SkillWorks' policy recommendations from the 2014 Gubernatorial race. 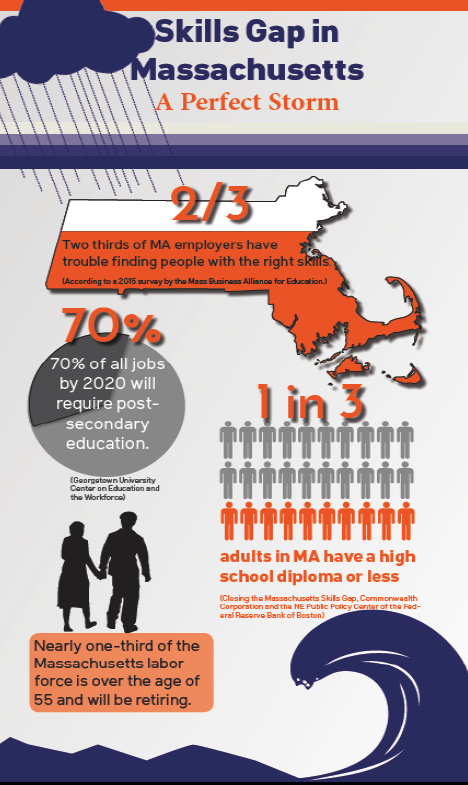 Skills to Succeed: A New Campaign to Increase Massachusetts' Workforce Outcomes and Resources. Download the 1-pager for this new policy advocacy campaign (below)!